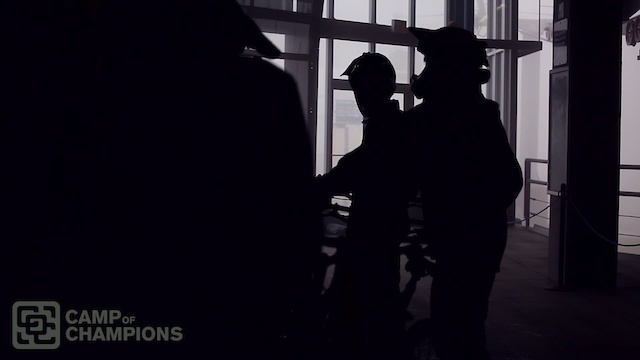 As you have probably noticed from our posts and our Facebook feed, we like nothing better than giving stuff away. Now we are giving away stickers. 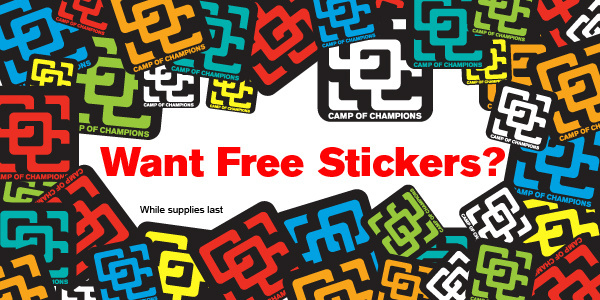 The Camp of Champions just got another mountain of stickers made and that means it's time to give them away. Hit the link below and we will send you COC stickers for free, while supplies last. 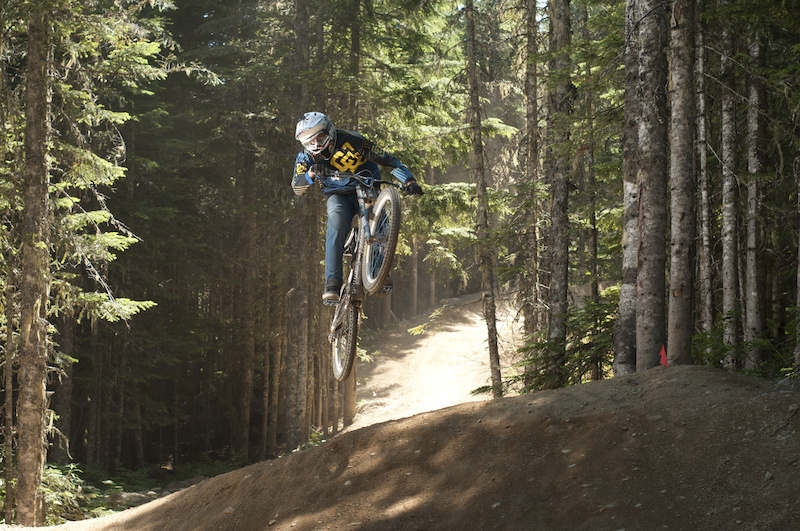 If you want to have more fun this summer riding the Whistler Bike Park, Bungee Jumping, hitting the Air Dome, learning from the top pros that are your coaches and end up as your friends, come to The Camp of Champions. You'll have more fun, learn more make more friends and get more free stuff than you thought was possible. If you'd like a free set of 4FRNT skis, a Lib Tech or Gnu Snowboard or a GoPro HERO3 Black Edition Register for the summer of 2014 and pay in full. We'll send you your choice of thank you gift the same day. Click here to register and pay in full at time of registration. If you register for summer 2014 and choose the "Pay Deposit" option, we'll send you a free COC Dakine Mission Pack, a RPZN or Eira COC Collab Hoody and a set of Skullcandy Ink'd Earbuds. Click Here to Register and choose "Pay Deposit"